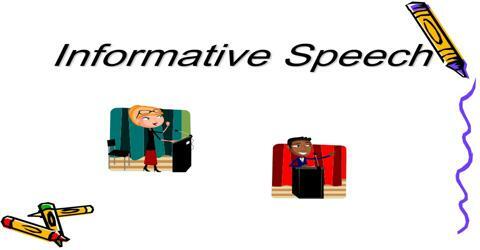 General objective of this study is to present on Speaking to Inform or informative speech. This manual focuses on the informative, factual and persuasive style of speaking and again permits a wide range of general subjects. An informative speech is a fact-based speech intended to teach its audience about a specific topic. In a persuasive speech, the speaker includes his conclusions and opinions in the speech alongside the sourceable facts.